Welcome to St Mary’s church - a place of Christian faith and worship, a caring community and a beautiful spiritual building. There has been a church on this site for hundreds of years but the church we see today was largely built in the nineteenth century. 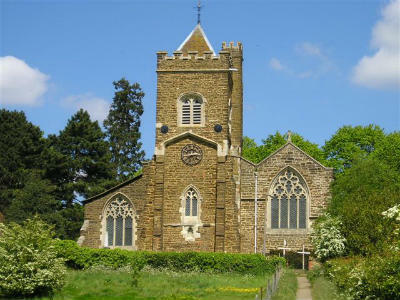 The church stands on a hill overlooking the village and is on the Greensand Ridge Walk. It is open every day for visitors, regular worship and private prayer. Essential to the life of our church is the sense of welcome and belonging that everyone can enjoy as they become part of our community. The church is open from 9am until dusk and at service times. 8 am Holy Communion - said, Book of Common Prayer. 8 am Holy Communion – said, Common Worship. 9.30 am Sung Communion with the choir - there is a children’s area with toys and books. 6 pm There are a number of evening services throughout the year. These are Evensong, Songs of Praise or Taize style. 10 am Holy Communion followed by coffee club. We want everyone to feel part of the life of our church but above all we want you to feel welcome.